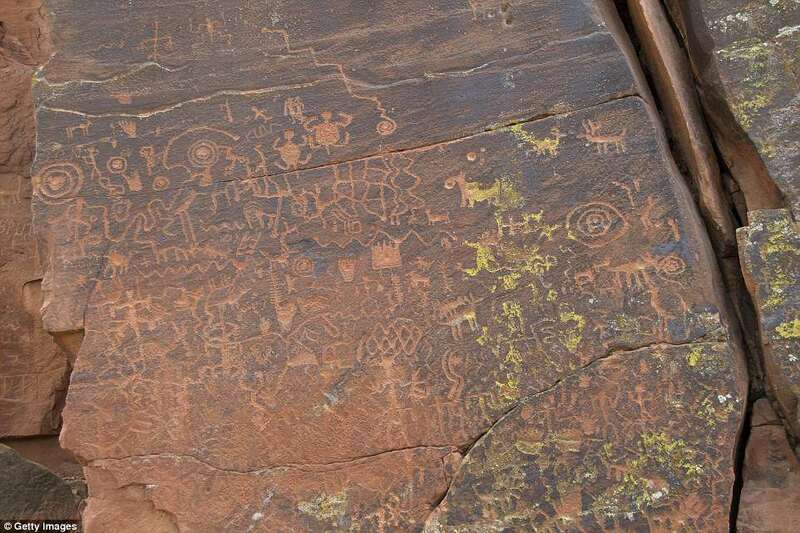 In the jumble of petroglyphs etched into the red rocks of the V-Bar-V Historic Site, it might be difficult to decipher the significance of one character from the next – but, when the sun sits in exactly the right place, each has its own story tell. 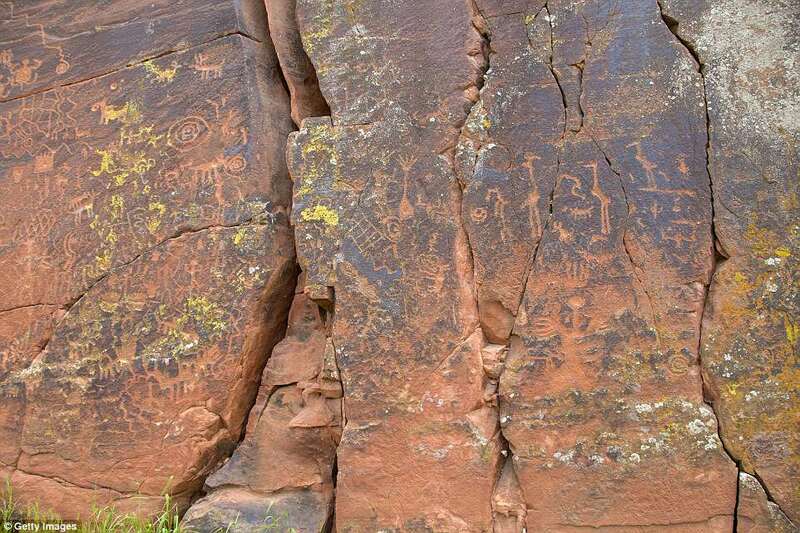 Archaeologists say the slab of sandstone in Arizona’s Verde Valley may have served as a calendar or clock hundreds of years ago, marking the passing seasons and onset of important agricultural periods by the position of the sun. At the start of summer and the longest day of the year, two rocks cast a shadow onto the roots of a corn plant, and leave two dancing figures bathed in light; six months later, the sun instead shines through the space between. 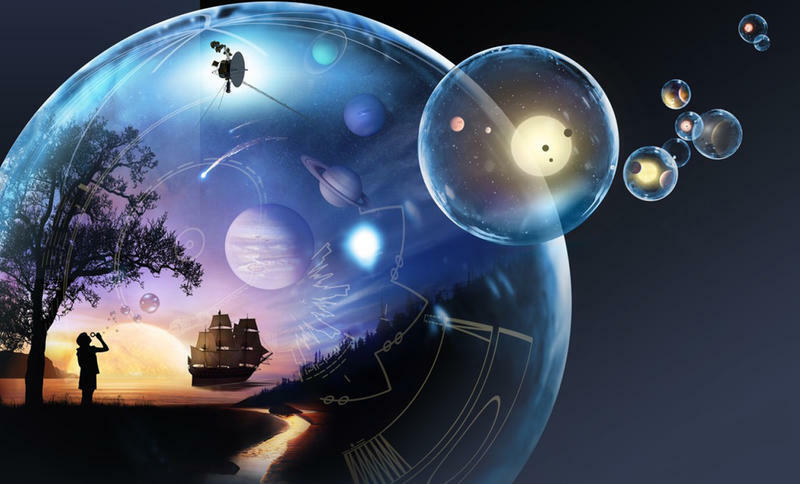 The ancient calendar sat unnoticed for centuries, until it was rediscovered by volunteers at the site in 2005, according to the BBC. 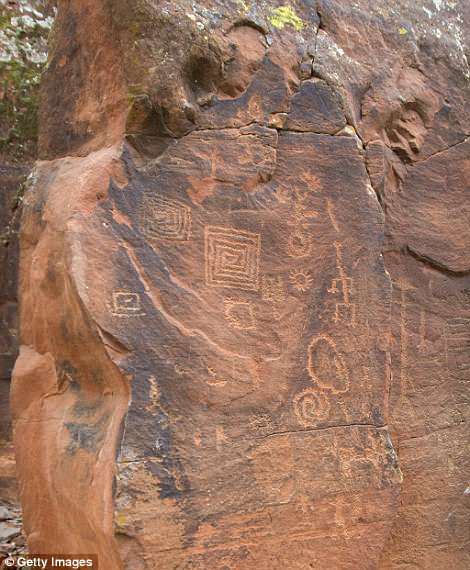 Roughly 1,000 petroglyphs were carved into the rock as far back as 900 years ago by the Southern Sinagua people, according to the Arizona Daily Sun. 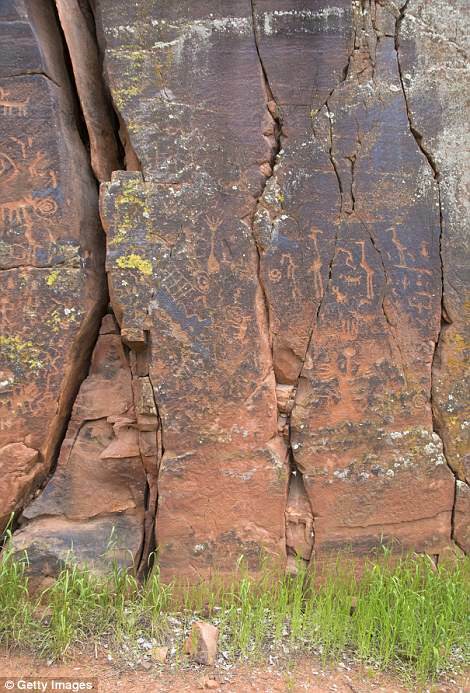 As the sun’s position in the sky changes, its light and the shadows cast by features in the rock line up with specific images that each hold agricultural or ceremonial significance. 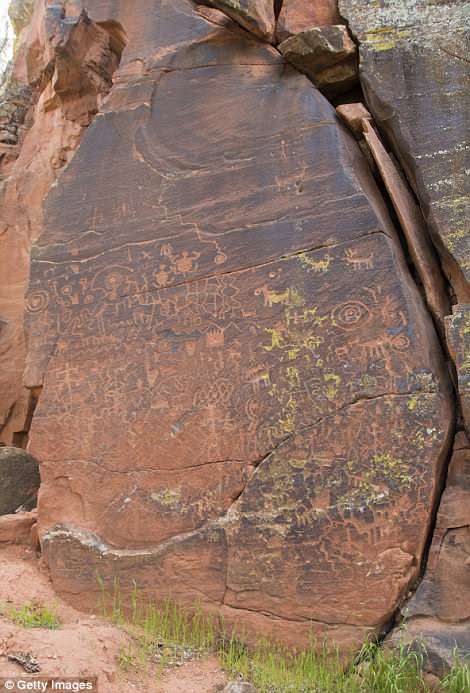 The petroglyphs highlight the equinoxes, solstices, and other important dates over the course of the year. 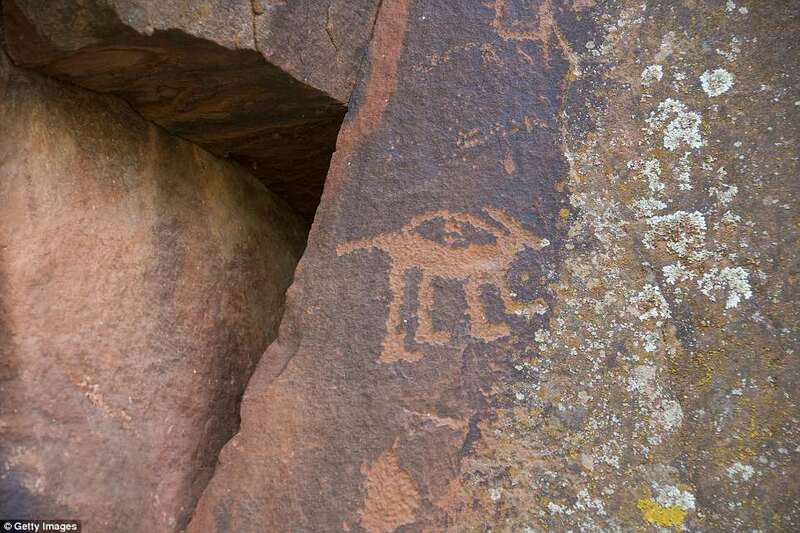 There are also spiraling symbols that likely represent ‘father sun,’ Kenneth Zoll, Executive Director at the Verde Valley Archaeology Center and Museum, told AZ Daily Sun in 2016. ‘This was a way to track time,’ said Zoll, during a recent demonstration of the remarkable calendar, the BBC reports. Between the 7th and 15th centuries, the Sinagua lived and farmed the region, growing corn, cotton, squash, and beans, according to the BBC. 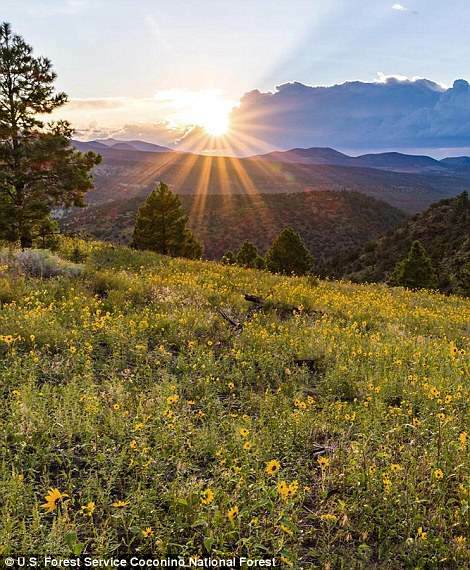 The Sinagua calendar at V-Bar-V isn’t the only one of its kind; in the Verde Valley, there are at least a dozen other sites that could have been used by ancient people to mark the passage of time. 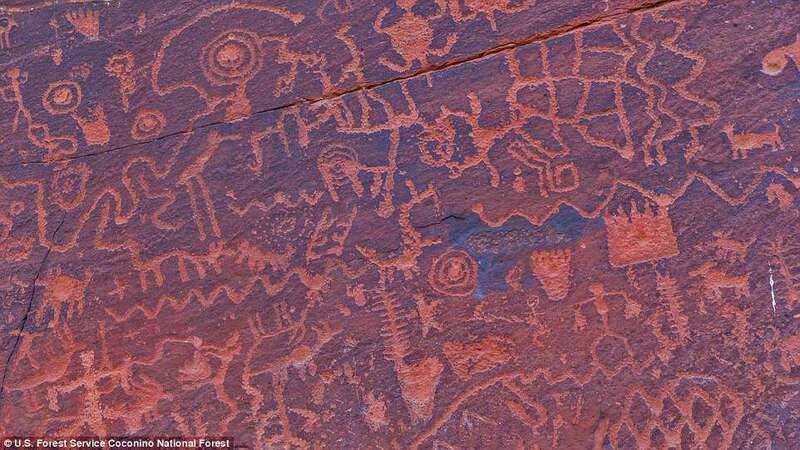 These may have been the work of travelers, who taught locals in other nearby sites how to follow the sun, the BBC reports. But, much about the ancient sites remains a mystery. 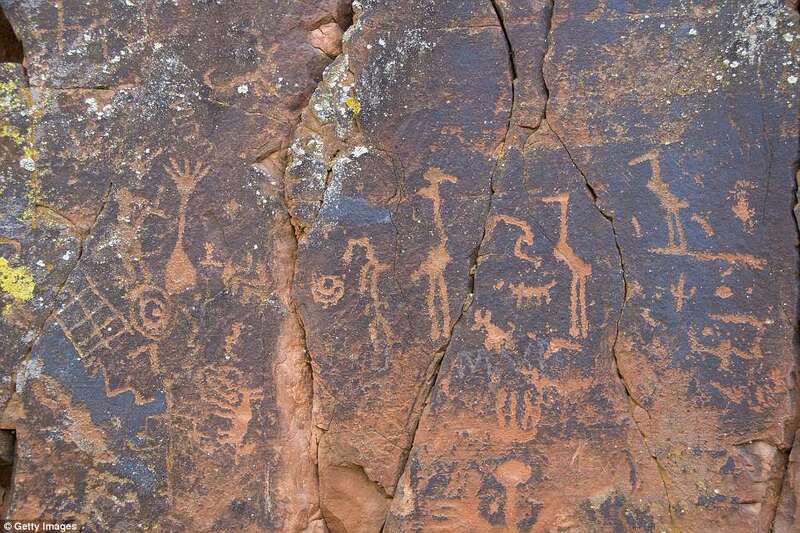 Nearby, the Hopi people who descended from the Sinagua say the images on the site line up with their own traditions that live on today. On April 21, for example, the edge of a shadow rests upon a picture of a corn stalk – and, this date marks the first day of planting among the Hopi, according to the BBC. And, on July 8, which brings an end to a 16-day prayer and meditation period, the sun illuminates a dancing figure. ‘I feel proud because our ancestors left these marks. Every month we have different ceremonies, and different things happen,’ Hopi elder Floyd Lomakuyvaya told the BBC.